One hundred and seventy ‘angels’ will be amongst the crowds attending Leeds Festival later this month. Festival Angels was launched in 2011 as a prayer cafe by churches local to the Leeds Festival site. Since then the concept has grown and now the Festival Angels’ team of volunteers run a prayer cafe, detached teams and lost property sections, becoming a valued part of the Leeds Festival organisation. 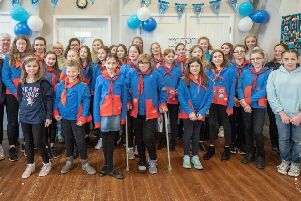 Reverend Andy Nicholson, coordinator of Festival Angels and vicar in Thorner, the nearest village to the festival site, comments, “Festival Angels is now into its sixth year and each year our team of volunteers and the services we offer has increased. “As Christians from across the North of England we are hoping to show that Jesus loves festivals and through joining in the fun and life of the festival we aim to help break down some of the misconceptions people, especially young people, have of the church and Christian faith. The prayer cafe aims to provide a safe place at the festival site and includes a mug deal for £5 with unlimited refills of tea and coffee throughout the weekend. The cafe also offers areas for people to pray and discover more about the Christian faith through specially printed “Jesus Loves Festivals” editions of Mark’s Gospel. The detached teams, based on the Street Angels model, wander around the festival site interacting with the festival-goers offering help and assistance including help putting up tents, giving out sun tan lotion, and helping people navigate the site. The team also offers hot drinks and biscuits to the security teams who are positioned around the festival. Lost property went viral in 2015 when an image on social media showing the numbers of passports, driving licenses, mobile phones, wallets/purses, car keys and bank cards helped reunite the majority of items with owners.